The 14-megapixel Samsung PL210 is one of the slimmest compact megazooms around. Despite having a 10x zoom lens, it’s just about pocketable. The lens starts at 27 mm which helps capturing wide scenes, and extends to 270 mm for shooting distant objects. The UI is very intuitive and navigating using the control panel is very easy. Instead of a dial, this camera has a Mode button which allows selecting from five modes. The Smart Auto mode is for beginners, wherein the camera automatically adjusts the exposure parameters depending on the type of scene. The Program mode offers control over EV, ISO, white balance, face detection, focus area, light metering, IS and drive mode. Smart Filters let you add effects like Vignetting, Half-tone dot, Sketch, Miniature, etc. 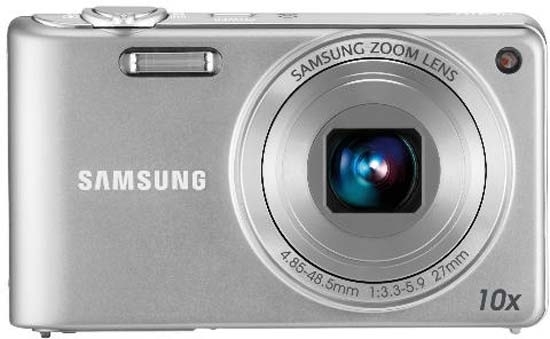 The PL210 can shoot movies at 720p with optical zoom. While the feature set of this camera is very good, it scores low on performance. The images lack detail due to strong compression artefacts. It takes a couple of seconds for the flash to recycle, and ISO values above 400 yield grainy results even in broad daylight. 720p videos were unacceptable because they came out very jittery. If you want a good compact megazoom without spending much, we recommend the Canon PowerShot SX130 IS (similar budget) or the Sony Cyber-shot DSC-H70 which costs Rs 1,500 more. The Price of Samsung PL210 is Rs.11,990/-.